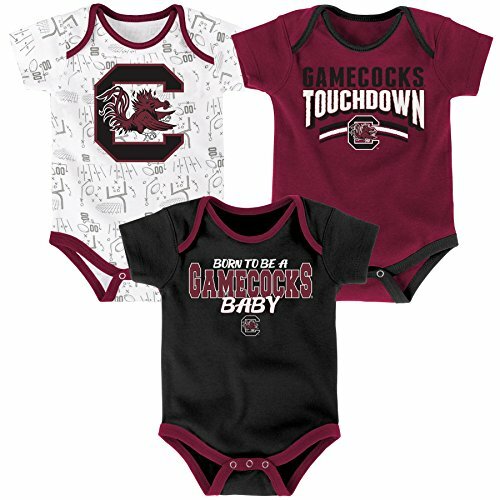 This adorable 3 pack onesie set is a great way to get your little one into the game. Designed with 3 unique graphics for a look and feel you and baby will love. March Madness is here! And supporting your favorite team has never been easier. This stylish, officially licensed, striped baby creeper created by Creative Knitwear comes with a three snap bottom for easy diaper changes and a fully embroidered logo. 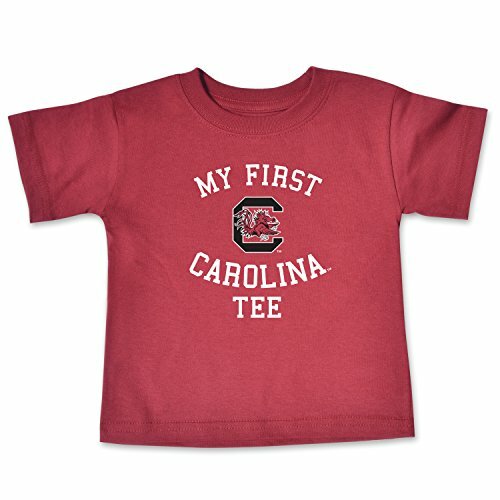 Baby's first college tee is a soft spirit favorite for even the tiniest of fans. Officially licensed product from College Kids. 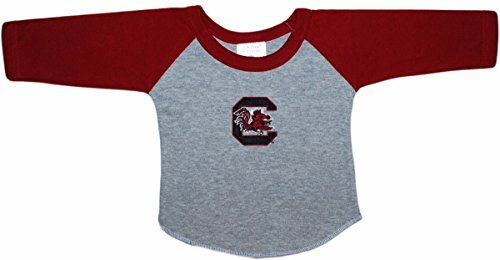 Start your newborn sports fan off on the right foot with this stylish, Official NCAA Licensed raglan sleeve shirt from the creative geniuses at Creative Knitwear! This ultra-soft, 100% cotton baseball shirt comes with a large, high quality, embroidered applique designed specifically to keep your baby's skin irritation free. 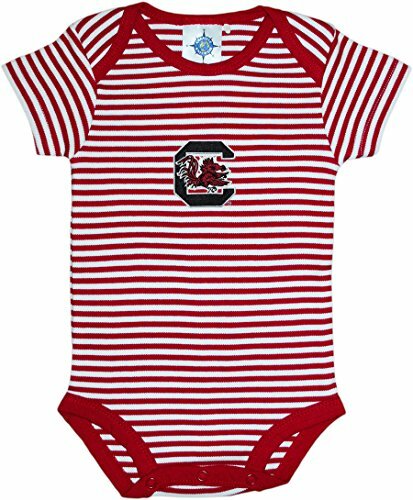 This two-toned toddler shirt is perfect for any occasion and will ensure that your baby is ready for game day! Remember to machine wash on cold and tumble dry! This adorable onesie, bib and bootie set is a great way to get your little one into the game. Designed with style and comfort in mind for a look and feel you and baby will love. 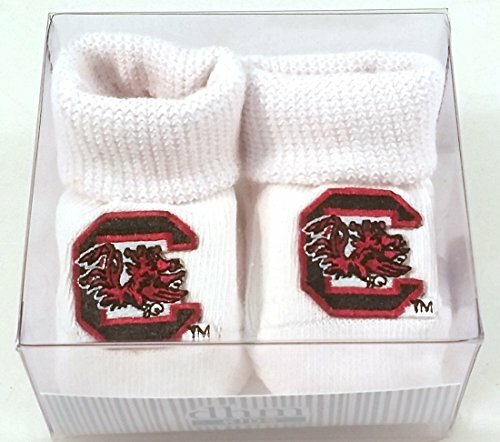 Style your NCAA fan in our premium infant gift box booties. These adorable stripe booties feature an officially licensed embroidered heat seal collegiate logo and ship packaged in a plastic gift box. This is a perfect baby gift so the smallest of fans can stay warm in style. For care: machine wash cold, gentle cycle with like colors. Do not bleach. Tumble dry low. Low iron. Do not iron Decoration. This garment is not intended for Sleepwear. 86% cotton, 12% nylon, 2% spandex. Made in USA. 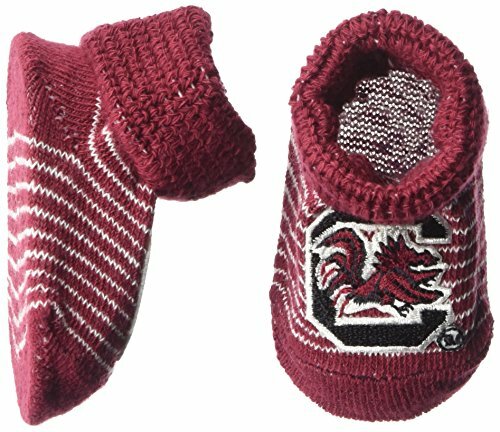 Your little fan can show team loyalty with this NCAA Newborn 3-Pack Creeper Set from Outerstuff. A great gift idea, this set includes 3 different creepers featuring screen printed team graphics on the front. Each creeper has snap closure at the bottom for easy dressing and changing. All pieces in comfy, machine washable 100% cotton. Officially licensed by the NCAA. 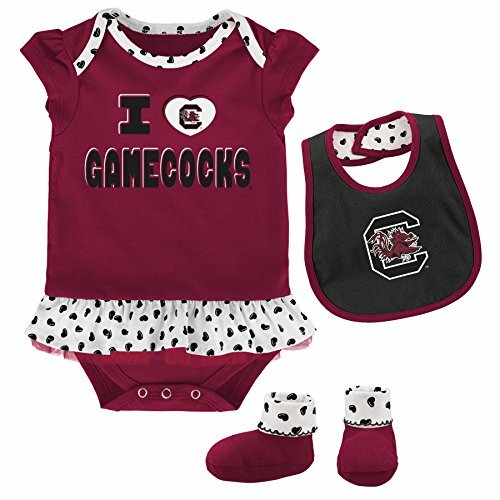 Let your little girl celebrate the University of South Carolina Gamecocks with this adorable three piece footed sleeper set. This unique set includes our custom, soft cotton coverall, headband and bandana bib. Each piece is high in team spirit and also includes exquisite quality embroidered Gamecocks logos on the headband and bandana bib. 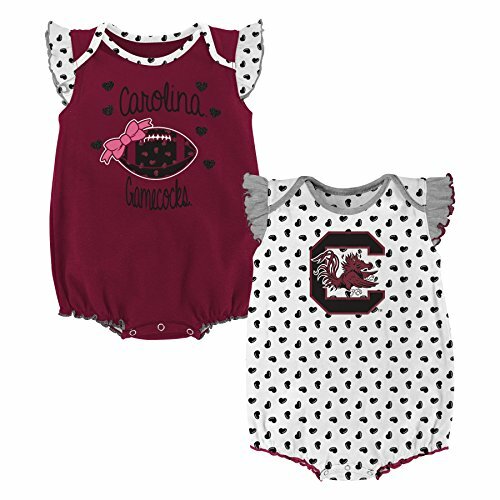 The footed sleeper features University of South Carolina Gamecocks-themed embroidered graphics on both the front and back to complete the perfect ensemble for your young fan! Unmatched quality and design! Gamecock Baby Laughing at Napkin! Baby thinks a napkin shaking after dinner is funny! 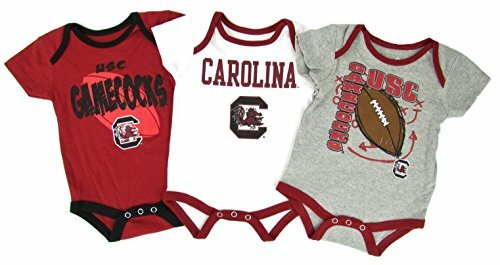 Compare prices on Gamecock Baby Clothes at ShoppinGent.com – use promo codes and coupons for best offers and deals. Start smart buying with ShoppinGent.com right now and choose your golden price on every purchase.